Hi guys! Today I would like to share my stages about my blog. Usually some bloggers they create a blog for business travel, life and etc. Most of people they can earn money from blogging. They can advertise or marketing their business on blogging. Okay some of you are curious about my blog topic because I really don't know honestly how does blog really works. I'm start making my blog to catch people attention about my story. as far as I know blogging is all about sharing of thoughts in life to inspire others. I don't have an idea about making earn money and anything. In this case let me share my Stages of my blogging Journey. Why AMAYSZINGBLOGS created? then what is all behind that title? My name is MAYSZ. What I mean this blog is all about my life journey and sharing thoughts. I create this blog to post my thoughts in life and This is my self blog site. 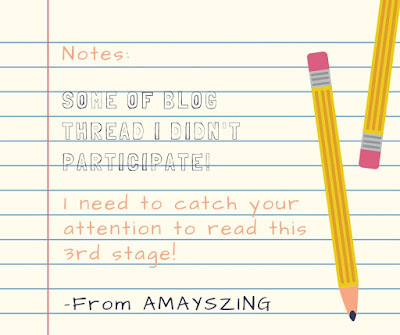 AMAYSZINGBLOGS was created last May 2017. I don't have an idea before on how can blog really works I'm just thinking before that I really appreciate to those people who can read my blog I don't care about the comments or numbers of views. If you have noticed My blog is very simple because I don't really know what is the best design to impress people about my blog and for me it's not important about the content and design. The important thing is I love sharing my story and that's it. As a blogger you need to explore and thinking things out of the box.Yah! We all know blogging is not an easy process. it takes you a lot of effort to think about the content of your blog. Actually this is the first time that I post this kind of topic because if you have noticed my blog is all about my life journey and sharing my enthusiastic story. 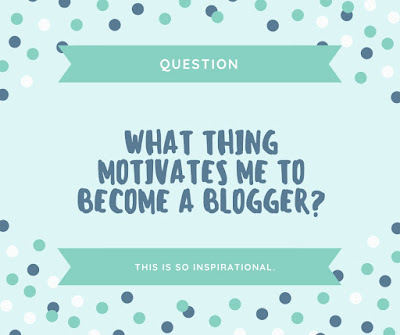 So here's the question what thing motivates me to become a blogger? I love reading tips about blogging and I'm always participate to all blog threads to way check the others blog. Most of the bloggers they are crafty and creative. I love their blogs. their content makes me inspire and motivate to design my blog beautiful. Another thing. I love sharing thoughts in a way on how can I express myself. Open up emotion is not easy because other people can criticize you. This is the great way to boost out your emotion to inspire others. Create your story is a great thing to become a blogger. Are you agree with that? Your thoughts will be highly appreciated! I'm a blogger and I admit that some of blogs thread I don't have an idea what is all about. HAHAHHA! YAH This is so funny guys. as I already mentioned. I love participating blog threads however some blog thread makes me feel curious. before when I join the blog support groups I only participating blog comments because I love read others comment on my blog. Yah I'm aware about the rules but not exactly what is all about. 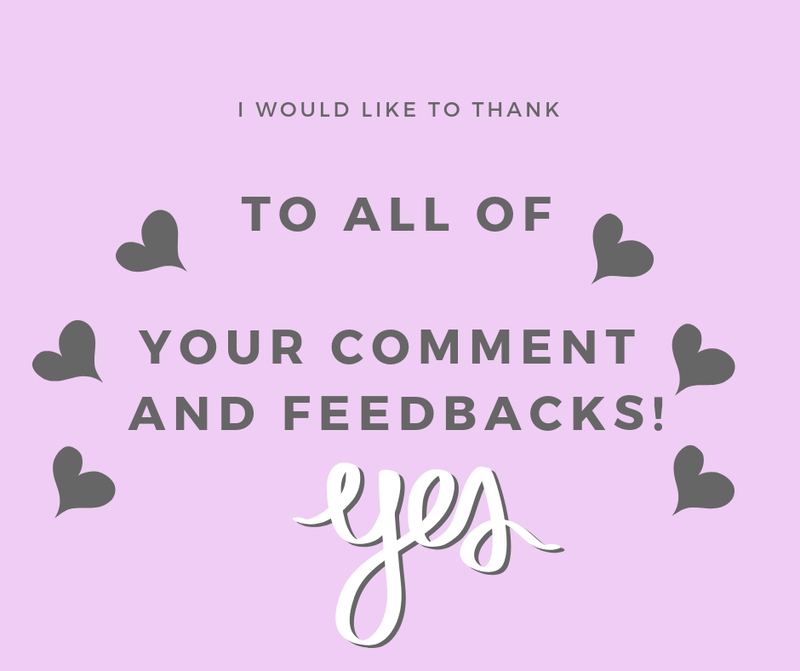 Your comments and feed backs is my inspiration to keep writing in my blog.When I read your comments it makes me feel courage. I love reading your feed backs. it makes me feel alive and give a lot of idea to improve my blog. I know in myself that I'm really good when it terms of grammatical and composed of sentence. and most of the time I have a grammar lapses HAHAHA! but I'm still working on it. Supporting bloggers is a great thing to help others to improve their blog. "Just like me" Your comments and feedbacks is very important.
" We need people who will give us feedback. That's how we improve." Lastly: I have run ads on my blog! 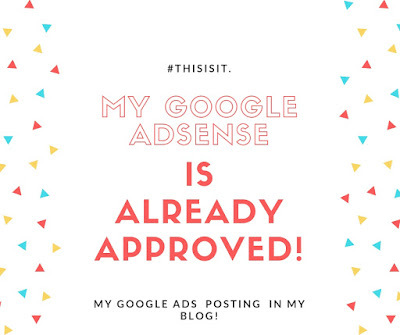 This is exciting that google approved my adsense on my blog. It was a great opportunity to have an advertisement in a blogsite/Website because sometimes this is a good way to make you earn money. "I'm not expecting of that because we all know many traffic in your blog is necessary needed to earn money". 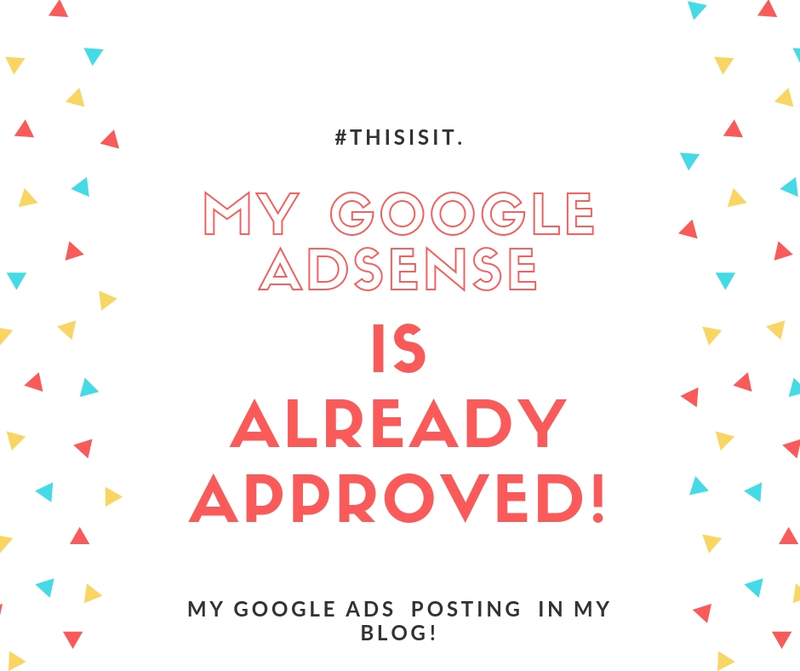 In my 1 year of blogging it was an achievement to have a google adsense. because for me my blog looks so professional. In this stage I need to improve anything about my blog. I need to research on how can I create a beautiful and formative article on my blog. If you have an idea on how google adsense is really works and how to get a higher traffic please message me asap I need your suggestion. Thank you in advance. Right now my blog is still growing and learning process. Making a website blog it will take a lot of effort and creativity. Your Feedbacks and suggestion is really powerful to improve everything. People exert their effort to achieve their goals in life. Same thing in blogging explore your self and thinking out of the box is the great way to help your blog growing. I'm starting to create more article to get higher traffic in my blog Please I need your support guys Thank you so much for reading!! Blogging has been a part of my life for the last 7 years and I could not see my life without it. I adore it oh so much - because it's a place where I can express myself the way I want to and I have created a niche and a "brand" that people know and find amusing (that is, if they come back, haha)! Great post! I agree whole heartedly with the need to determine what is motivating you to blog. Also, congrats on the Google Adsense approval! I also have NO clue how it works so would love to see some follow-up posts about it as you learn! I love that you feel you can be open and creative - it's such a great outlet. By the way, love how you incorporated your own name in your blog name! Blogging is great fun and should be something you love doing - sometimes you need to take a break and that's fine. Just keep enjoying it! Congrats on getting your Adsense approval! The more (often) you publish, the more your traffic will go up, at least that is what I found. I agree, it takes a lot of work to blog. I think it is a lot more than people realize at first! However, I jumped right in over 2 years ago and have learned so much along the way! I wouldn't give it up for anything! It's definitely a learning process, and we keep growing as we go. It takes a lot of hard work and dedication, but if you are really into it it's definitely worth it. Blogging is great but its such hard work. Sounds like your moving forward keep pushing through & being yourself! It sounds like you are starting to get the hang of the blogging thing. There's definitely a lot more to it, and it's best to take it in small steps like you've done. I don’t think we ever stop growing as bloggers - or as people. Just don’t copy anyone else! Wow This is so perfect tips from you as a new blogger This is encouraging. Congratulations on all you have accomplished in your first year blogging! In the past decade, I've learned that blogging is a journey, not a destination. No matter where you are int he process, there is something to learn and reach for. I love your post and can relate with you. I feel like my blog is to share my journey, my thoughts, and mostly my table. Love your blog! I have been blogging since May and still have no idea what click through means! Haha! Congrats on Google Adsense! I feel you at this moment! Hahaha!! Great post, blogging is not easy and takes a lot of patience and determination. I just love the name of your blog and love that it incorporates your name. Blogging is a journey and we all change and adapt as we go along. 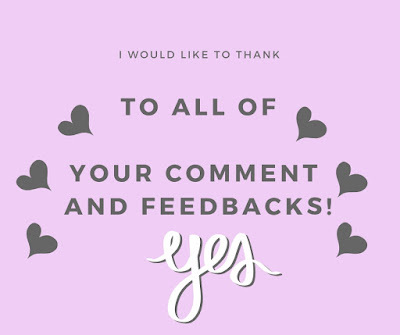 Blogging is so exhausting but FUN at the same time, and I agree with you completely that when we get a nice meaningful comment or reply to a post it really does make you appreciate it that much more! Congrats on the Adsense approval! Blogging is so much fun but also a lot of work. I’m looking forward to following your journey! Keep going girl! A Year from now you'll be so surprised how far you have come! Blogging is a fantastic way to express yourself and get your message out there. When people ask me why I started a blog I tell them I have a lot to say and want to reach as many people as possible. I am a blogging for expression. It's the best way for me to be creative and express myself. 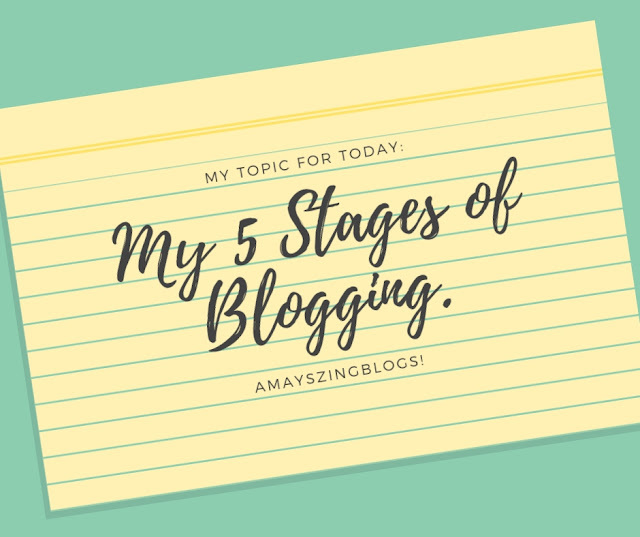 I love that you've had five stages and are growing as you want to on your blogging journey. I love reading these types of blogs! I feel like it lets us know what you are like! Keep it up! You are welcome dear. I wish you Success in other stages of your blogging adventure. Blogging has so many layers to it! It is amazing how many avenues you can take with a blog, which is why I love it!! I just created my first blog this month and it's definitely been a learning process. I decided to blog because I had something to say about a topic and I know that there's at least one person out there who will listen. So far I love blogging! I know as time passes I will get better and my blog will reflect that. Congrats to the great start you have gotten & being approved by Google! Looks like you’ve got a great start! Blogging is a continuous process and we learn from each milestone we achieved. With regards to increasing traffic, just continue blogging and write quality articles consistently. Great post! I agree whole heartedly with the need to determine what is motivating you to blog. Congrats on the Google Adsense approval, I haven't got mine yet. I think it is also important not to compare your blog to anyone else. If you are a mom blogger find what makes you stand apart from the rest. Enjoyed reading your blogging experience. Your are a motivated blogger. Wish you best for your creative journey. I love that how you incorporated your own name in your blog name, I really enjoyed this post. Wish you best of luck for future. I love your blog name it's very cute and catchy. Look how far you have come! Blogging surely is a learning processes. Blogging is definitely a process! Thanks for sharing your insights into it and you progress. Welcome to the blogosphere! Don't beat yourself over anything; you'll learn as you grow. I love your blog! Congratulations on wading into the blogging pool and congrats on your Adsense approval. You're in the money now! Blogging is such a process. I’m only doing it as a side thing but I hope tonone day become a full time blogger. I loved reading this post as I can relate to a lot of things here. 'Some of blogs thread I don't have an idea' - Hahahaha - me too. But now I'm putting in a lot of efforts to understand everything that goes into blogging. As someone blogging for over a decade and half, I would say, you need to keep at it, and it will become more fun as time goes by! This is amazing steps and very useful to aspiring bloggers. Blogging is not an overnight success. Patience and passion. You need these two to succeed, but I'm loving it! It takes time to create a blog. I adit that It was a hard time for me to start but in the end it all goes well. Good luck with your blogging efforts. Remember a good blog takes time to build! Congrats on getting ad sense!! you are doing a fabulous job! As bloggers, we are always changing and growing and making progress. It's a wonderful business to be in! I have been blogging on and off, and whenever I am blogging can't seem to keep the pace. So I decided to stop but when I am fully decided and can really find the time to be a devoted blogger, I would follow your lead. Congrats on your adsense! Blogging is definitely not easy especially if you are planning to be a fulltime blogger. Congrats and keep up the good work!